The fields are ripe unto harvest, but the laborers are so very few. We are praying to the Lord of the harvest for workers to be sent out into His fields. We would love to speak with you about how you might be involved in the ministry of GIMI. We are happy to offer an incredible opportunity to those of you who would like to partner with us in this very special project. For just $20.00 per month, you can sponsor a prison child. These are children ranging in ages from birth to 4 years old who are living in the prisons of Africa with their inmate mothers. Your monthly gift will provide a child with food, clothes, medicines, and hygiene products! It will also provide Bible study materials for the mother! You, the sponsor, will be able to communicate directly with the child and his/her mother periodically through our office. If you are interested in this program or want further information, please contact us at 828-632-2344. You can help us through the donation of educational materials. GIMI always needs new or used text books, children’s books, school supplies, educational videos, etc. 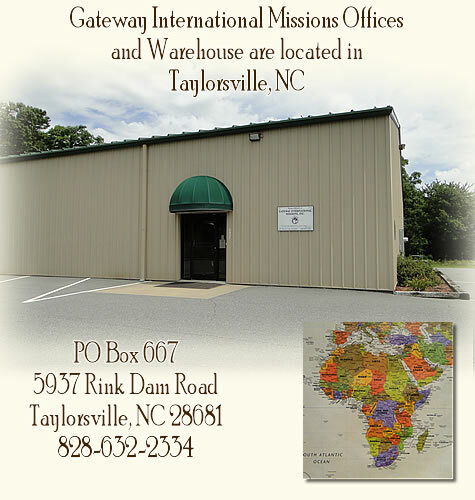 to assist in our school and orphan ministry. Thousands of boys and girls in Africa are in desperate need! Another way that you can help us is through the donation of medical supplies or equipment. GIMI gladly accepts any donation of durable medical equipment (crutches, wheel chairs, walkers, hospital beds, etc.). All donations are tax-deductable and will be properly receipted. If God has called you to the mission field for a long-term committment, you may choose to consider an assignment through GIMI. We’d love to meet with you and discuss the myriad of possibilities. If you or a group would like to be a part of a mission team, we can make all necessary arrangements to facilitate your endeavor for Christ. These trips are usually at least ten to fourteen days in duration. We are in constant need of teams in Uganda, Kenya, and even in the Ukraine. Teams who work with us follow an agenda that is put together by GIMI staff, and all travel and lodging expenses are required. 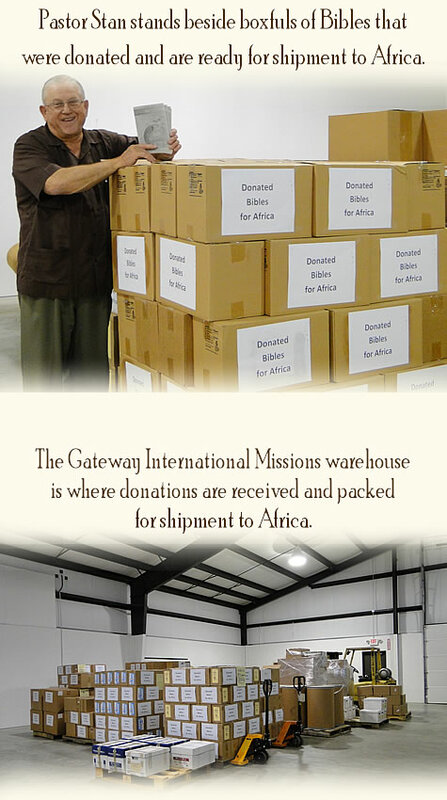 You may support this ministry in various ways. One-time gifts are accepted or continued support is greatly appreciated, and will be properly receipted. Please contact our office for information about how you can contribute to our efforts.